We now offer a Wedding Registry. Planning your wedding? 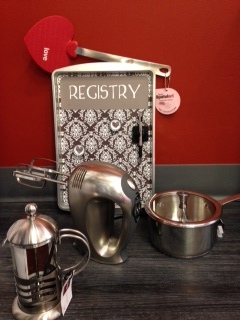 Come on in, and we’ll help you put a list together for your shower and wedding gifts. Breville Blenders: Simply the best in blenders. The Hemisphere Bowl/Blade System pulls down what’s on top while whipping up what’s below, creating velvety cocktails and the creamiest smoothies. 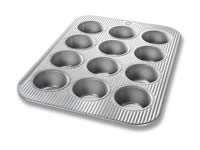 USA Pans: Fluted surface for even baking. Heavy gauge aluminized steel with safe and natural non-stick silicone coating. Elevate Spatula Set by Joseph Joseph: You’ll never need a spoon rest again! These spatulas feature innovative weighted handles that prevent the utensil’s head from touching worktop surfaces. The heads are heat resistant up to 240-Degree C / 480-Degree F and are ideal for non-stick cookware. Also featuring ergonomic soft grip handles. Dishwasher safe.